PERUGIA, Italy - While Amanda Knox headed home to the United States a free woman Tuesday after an Italian appeals court dramatically overturned the American student's murder conviction, prosecutors expressed disbelief in the verdict and vowed an appeal to Italy's highest criminal court. Prosecutor Giuliano Mignini said Tuesday that he would appeal after reading the court's reasoning due out within 90 days. "Let's wait and we will see who was right. 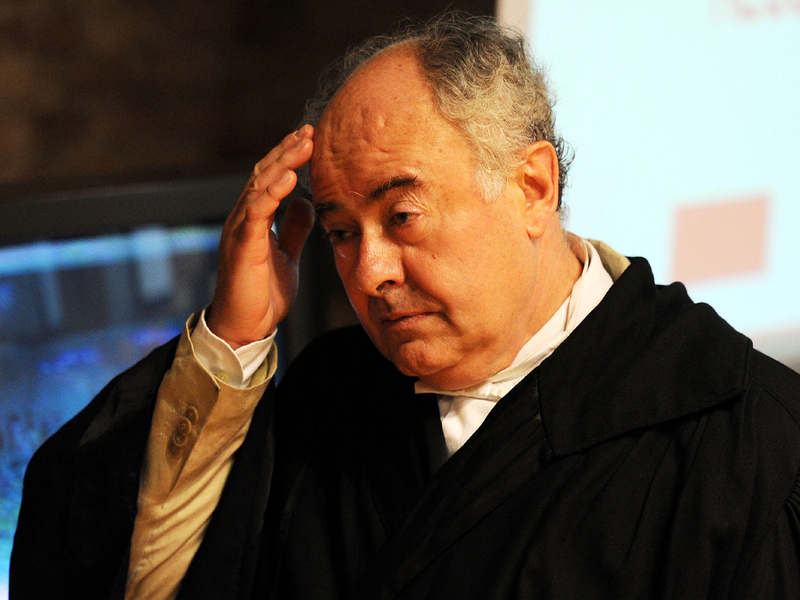 The first court or the appeal court," Mignini told The Associated Press on Tuesday. "This trial was done under unacceptable media pressure. The decision was almost already announced; this is not normal," he said. If the highest court overturns the acquittal, prosecutors would be free to request Knox's extradition to Italy to finish whatever remained of a sentence. It is up to the government to decide whether they make such a request. Knox and her ex-boyfriend Raffaele Sollecito were convicted in 2009 of sexually assaulting and murdering Kercher, a 21-year-old British student who shared an apartment with Knox in Perugia. Knox was convicted to 26 years, Sollecito to 25. Both had been in prison since Nov. 6, 2007, four days after Kercher's body had been found at the apartment. But, the prosecution's case was blown apart by a court-ordered DNA review that discredited crucial genetic evidence. Monday's verdict reverberated through the streets of this medieval hilltop town, where both Knox and Kercher had arrived for overseas studies programs four years ago. Hundreds of mostly university-age youths gathered in the piazza outside the courtroom jeered as news of the acquittals spread. "Shame, shame," they yelled, adding that a black man had been made to shoulder all of the guilt for the murder. The jury upheld Knox's conviction on a charge of slander for accusing bar owner Diya "Patrick" Lumumba of carrying out the killing. The judge set the sentence at three years, less than the time Knox had spent in prison. "I've lost a friend in the worst, most brutal, most inexplicable way possible," she said of the 2007 murder of Kercher, who shared an apartment with Knox when they were both students in Perugia. "I'm paying with my life for things that I didn't do."